With Small Business Saturday just in the recent past, there were a couple small businesses I couldn’t help but buy from. 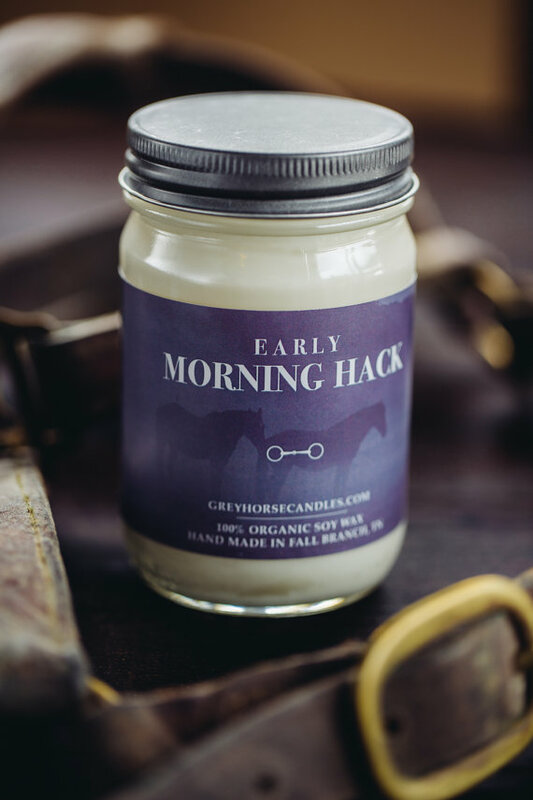 Grey Horse Candles is one – these candles make excellent gifts for your equestrian buddies, and I just love the scent ideas that will charm just about any horse-inclined person in your life. FarmhouseMusings is a new one to me, started by a former IDA teammate of mine. While much of her work is baby-inclined, be sure to snap up the equestrian themed items (before I do!). 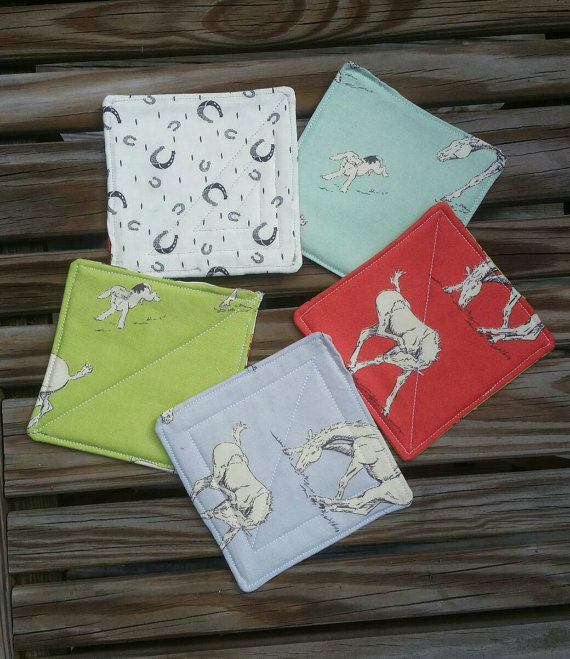 I just love these horsey fabric coasters, which I included as gifts to friends and bought an extra set just for me! Lastly, Field & Field has been on my list for a long time. For those that adore equestrian accessories without wanting to be bedecked in horseshoes and horse heads, this is your store. They use scrap saddle leather to create beautiful handmade purses and other leathery loveliness. 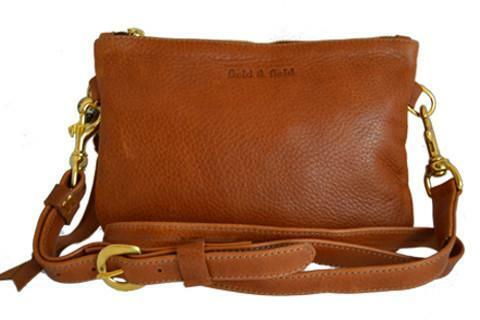 I’m particularly lusting over the Oh Honey Crossbody, not so subtly hinting to the husband that this is on my wishlist! What small businesses out there are on your list? Do you know of a small business that needs some love, or has a great story that wants to be shared? Comment below! Ooo, that purse is beautiful!! Aside from all my usual favorites, this is one of my newest loves: https://www.instagram.com/bravurastore/ She makes the cutest tweed purses! It’s no secret that I’m a big fan of Hunt Club, and I also like One Horse Threads and The Herbal Horse. I know a lot of bloggers are fans of Hamer & Clay, but I don’t have any experience with them (yet). Another small business that’s not exactly horse-related is The Home T. They create hats and apparel representing all 50 states, and they donate 10% of each sale to MS research…pretty cool to support a small business AND a great cause at the same time! Hunt Club is always at the top of my equestrian small business list! I’ve been dying to try the candles….just haven’t made the effort! I need to put them on my christmas list ;). I love candles! Thanks for sharing! Those candles are the perfect gift for the last person on my list who I could just not figure out what to get! Thanks for sharing! !